Attic Cleaning Los Angeles, CA | Affordable Prices & Guaranteed Satisfaction! 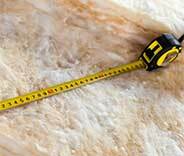 Anything related to your attic at home or business premise from cleaning and decontamination to insulation! If your attic isn’t cleaned regularly, bacteria can accumulate over time, along with dust. Both can cause health hazards for you and your family. Let us take care of it. Learn more here! Roof rats might be in your attic right now- gnawing through your precious electric cables and pipes and even spreading diseases. Act now! Click here to learn how we can help. No matter what kind of attic-related issues you might have, we are here to help. Read more about our range of services here. 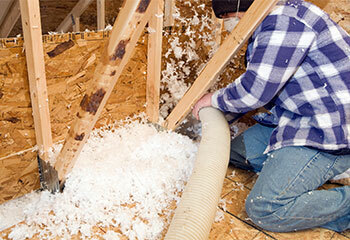 All sorts of damage can happen to your attic’s insulation over the years, and this can cause it to be less effective. Let us take care of you! Discover more here. 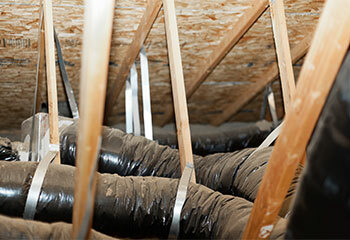 Keeping your crawl space in good shape is best for your house, and those inside of it as well! To learn more about why that is and how we can help, just click here. The last thing you want is rodents making themselves at home in your attic, or anywhere else in your household! Not only do they cause damage, but they spread disease as well. Attic Cleaning Los Angeles, CA is here to take care of it for you in no time with our quick and excellent cleaning services. If you live anywhere around Huntington Park or Maywood, count on our professionals to get your home clean and safe again in no time. The longer you put it off, the more rodents there will be! So, just give us a call. There are a few ways to know if rodents are around your home, so pay attention to catch them as soon as you can! If you hear sounds of scampering, particularly at night when they’re most active, that’s one of the biggest indications. 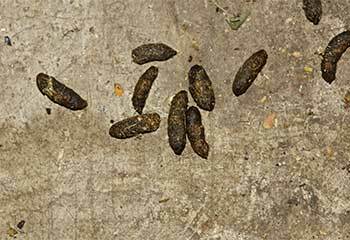 You may also notice droppings, or signs of gnawing on wood, furniture, or otherwise. Periodically checking areas like the attic or crawl space where you don’t often go for these things is also advised, as those are the areas they’re most likely to be in. 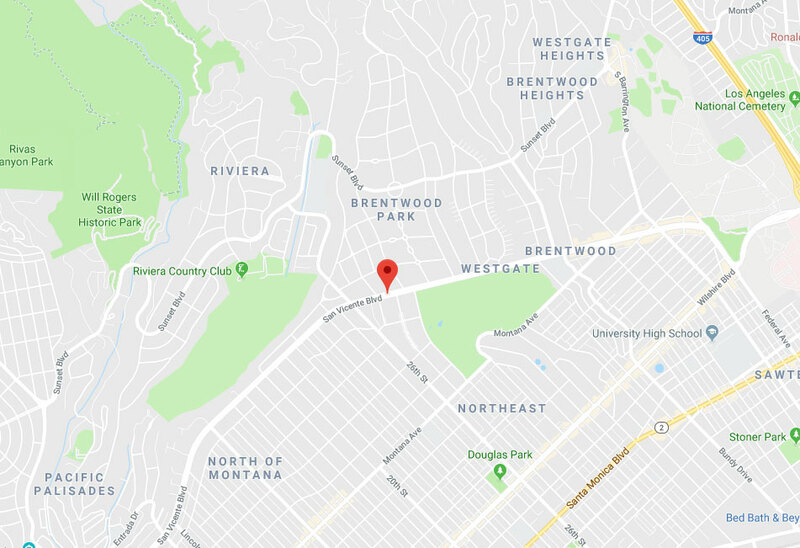 Should you find any of these disturbances and live near Walnut Park, it’s time to reach out to Attic Cleaning Los Angeles! Whether you want to protect your house from needing to deal with a rodent problem to begin with, or need assistance with the one you already have, our team will be able to lend you a hand in no time. Proofing will close up any potential entrances around your home with sturdy steel wool that rodents can’t chew through, thus closing your household off from them being able to get in. If they’re already present, we use safe and humane traps to catch them alive and remove them, rather than dangerous pesticides. Our experts will be able to handle it all easily for Commerce residents! After any rodent infestations, or if it’s coated with dust and debris, getting your attic cleaned is the best way to ensure that your household remains healthy! Using the finest tools and solutions, our professionals will get your attic completely cleared out and fresh again. Decontamination is also available to make certain that all presence of disease is eradicated for good. Give us a call if you live between Bell or Glendale! Our specialists in Los Angeles can offer you the finest service, the most competitive prices, and a genuine personal touch with every visit. For the best attic cleaning and decontamination solutions, insulation removal, rodent proofing, and every other related service imaginable, our professional team can guarantee your complete satisfaction. Want to learn more about what we can do for you? Check our some of our recent projects in the area! This customer complained about the cold floor and a funky smell and we were there to help her. See more here. 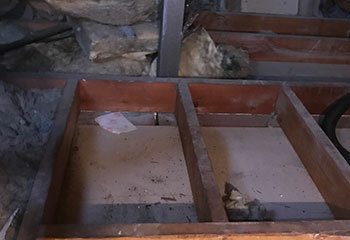 This customer discovered rat droppings in his attic and asked us to rodent proof the entire area. 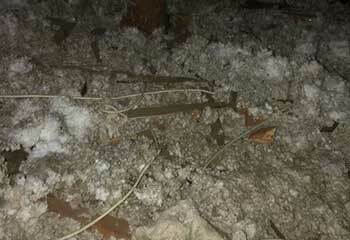 This customer noticed that their attic seemed to have a bad smell that appeared to be coming from the insulation. Our customer noticed his power bills had increased dramatically. He asked us to clean and seal the attic area for air leaks. A major storm had damaged part of this customer's attic. Some insulation had been damaged and the customer wanted it replaced. I'm very happy with the job this company did when they cleaned our attic crawl space and sealed the air leaks. The results look absolutely perfect! Our new attic insulation is fabulous. The service man from this company was extremely professional and took no time getting the job done. We couldn't be happier! Highly recommend them! When we had this company come decontaminate and rodent-proof our attic, we were assured they were the best in the business. I can testify to that now. They did a superb job!